Time is money – especially when you’re running a small business. With so much on your plate it’s important that you spend every minute wisely and streamline wherever you can – and the cloud can help you do just that. “The Cloud” may sound like a big mystery, but you’re probably already using the cloud without realizing it. If you’ve ever uploaded a photo to Facebook, posted a video on YouTube, or archived an email in Google, you’ve used the cloud. The cloud allows small businesses like yours to get access to the technology that helps you do the heavy lifting of business management. You don’t have to host these tools on your own servers – you can access them through the Internet and use them anywhere. This allows you to use the tools you need, when you need them. There’s no need to hire an IT specialist to install, manage or uninstall business software. You can scale up or down in your usage as you need it – helping you stay flexible, efficient and more productive. While you’re probably already using the cloud for email, there’s a lot more that you can do. Here are three ways you can use the cloud to boost your productivity. Want to get paid on time? You need to make creating, sending and following up on invoices as simple as possible. If you’re still sending PDFs via email, it’s time to move your invoicing to the cloud. With you can send invoices from anywhere, review who owes you at a glance and follow up automatically. You can also keep your accounts balanced and get an overview of financial health of your business. It’s the best way to stay on top of your cash flow while you’re on the go. Rely on the cloud for better phone service. 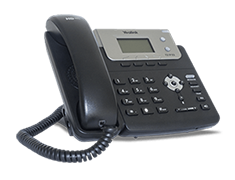 It doesn’t matter whether you’re doing business from a 1500 square foot warehouse or your kitchen counter – you need a reliable, full featured phone service. Fortunately, the cloud can help you make and receive calls with extras that make your business more productive while reducing your phone bills. Features like a virtual receptionist that quickly directs callers to the right extension, getting your voicemail sent to your email as an audio file, or using a mobile app to make and receive calls as if you are in the office are all capabilities of a cloud based phone system that make your business run more efficiently. Easily collaborate with team members through the cloud. You may be in business for yourself, but you’re not working alone. By using the cloud, you can make collaboration a breeze. You and your team members can access cloud-based collaboration tools from anywhere using computers, tablets and even smart phones. You can track project deadlines, communicate about customer issues and brainstorm new ideas to keep your business running productively. The cloud helps your small business act bigger, without a big budget. You can increase productivity and professionalism all while keeping your costs low. If you’re ready to help your small business make a big impact, for more tips and tools that will make you more productive and profitable. I operate at the intersection between technology and ease of use. I strive to make our customers’ lives easier through elegantly automating manual processes. Much of my time is spent listening to small business owners, making sure to bring their voice to the table in everything I do. My free time is spent with my kids, which includes being a Cub Scout leader for an energetic group of 10-year-olds where I’m lobbying for a Software Product Management badge. The Cloud concept can seem confusing to many business owners, but I think that you’ve done a good job here explaining it in easy terms. And when you get better at using the cloud, it can do all kinds of things, like the virtual receptionist you mentioned. Technology can go a long way towards speeding up business if we use it. Hi Joyce. 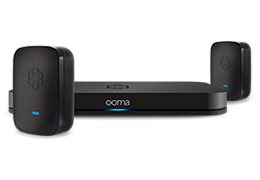 Please email me your Ooma phone number and a brief description of your difficulties and I can look into it for you. My email is social@ooma.com. Thanks!